All of these beads are either in private collections or in my personal bead stash waiting to be strung into jewelry. They are not for sale. 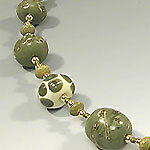 Eventually, I will be listing beads for sale on this site. 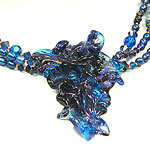 For now, I'm concentrating on the jewelry side, and will tend to the beads once all the jewelry is up. In the meantime, feel free to browse my work in this archive. 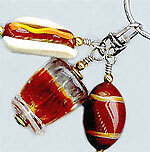 Just click on the thumbnail images to see a larger image of each bead.